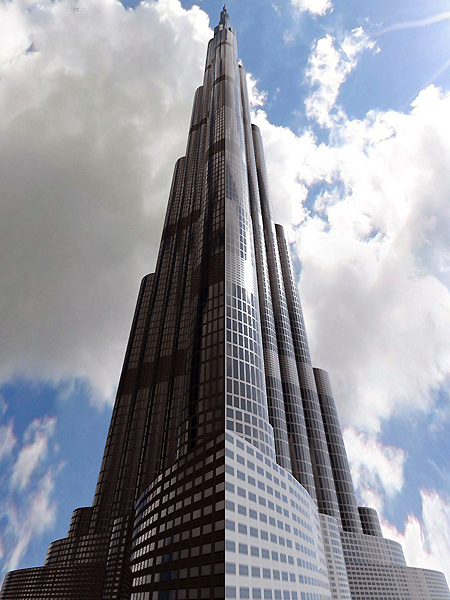 The Burj Khalifa in Dubai is the world’s tallest building. Click to read more about this building. The historic Hagia Sophia was built as a church in the 6th century, then converted to a mosque under the Ottomans. Today it is a museum. 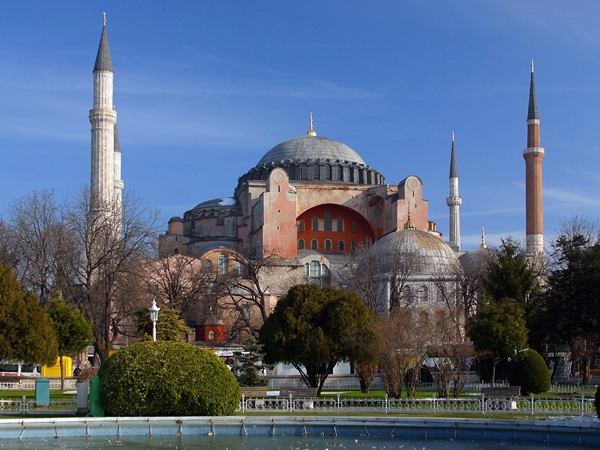 Click to read more about Hagia Sophia. 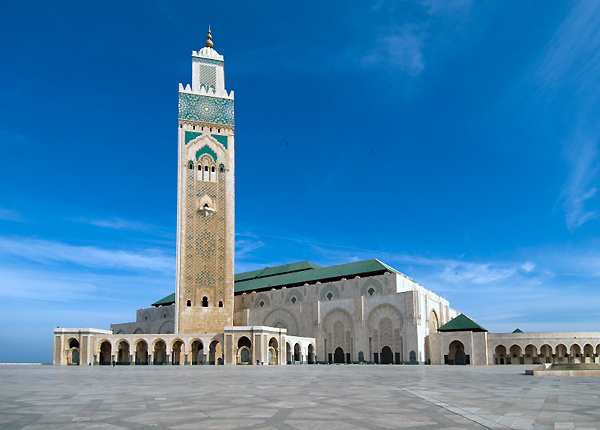 The Hassan II Mosque in Casablanca, Morocco is the largest mosque in Africa and its minaret is the world’s tallest. The building is exquisitely beautiful, inside and out. Casablanca is a commercial hub, with little of interest to tourists, but this mosque is a must see. Since the international airport is in Casablanca, most visitors spend their first night there. 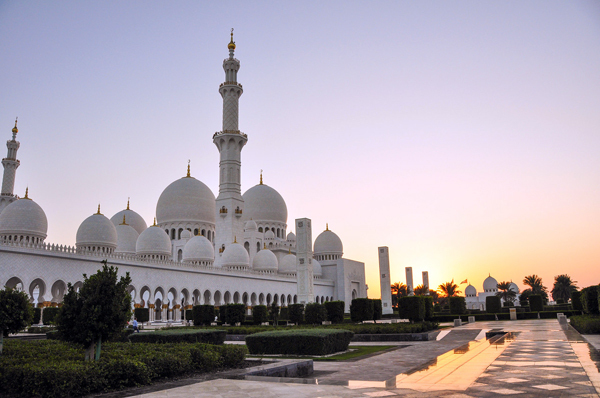 All of our tours include a stop at the mosque, before heading out to see the rest of the country. 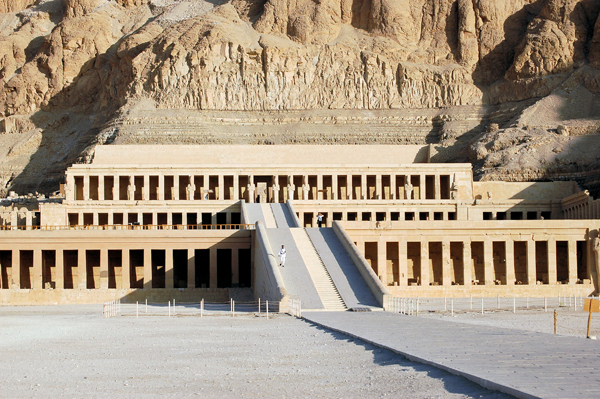 This is the mortuary temple of one of ancient Egypt’s very few female pharaohs, Hatshepsut. The design is unusual for Egyptian temples. Don’t miss it if you’re in the Luxor area. 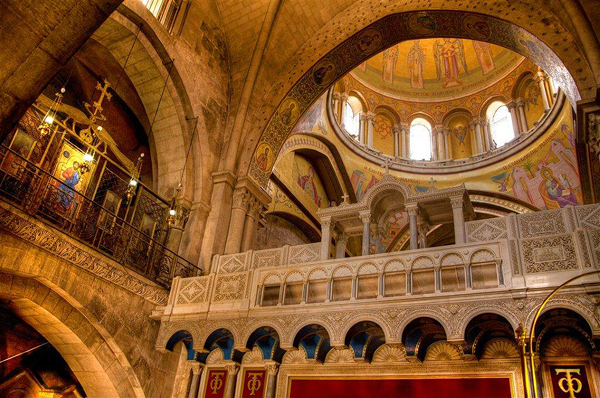 The Church of the Holy Sepulchre was originally built in the 4th century. It encloses what the builders believed to be the tomb of Jesus. Click to read more. 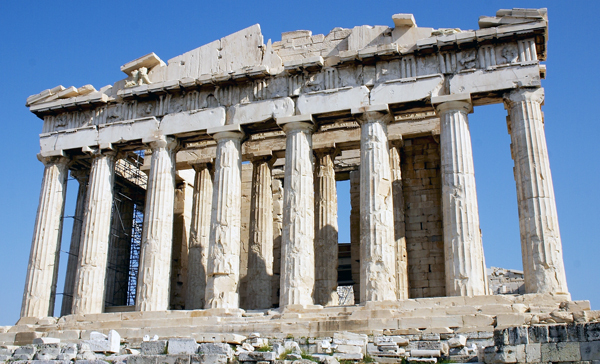 The Parthenon on the Athens acropolis is one of the most influential buildings in western architecture. 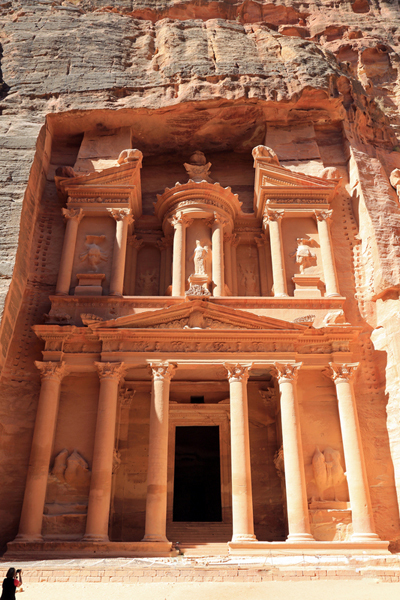 El Khazneh or The Treasury in Petra is the first thing you see as you enter Petra through a narrow canyon. Click to read more. 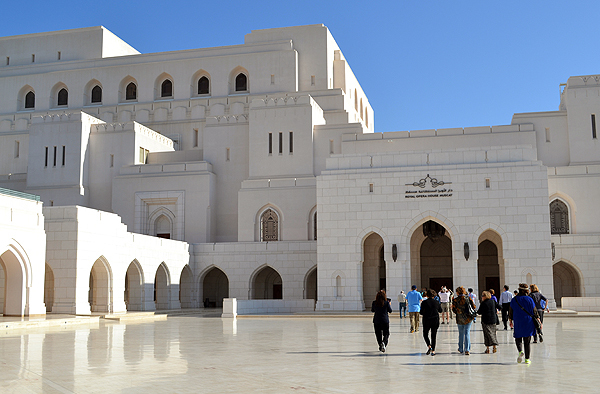 The stunning opera house in Muscat is worth a visit even if you can’t catch a performance. Click to read more. This entry was posted in foto friday, Uncategorized and tagged Abu Dhabi, Acropolis, Athens, burj khalifa, casablanca, Church of the Holy Sepulchre, Dubai, Egypt, Hagia Sophia, hassan II mosque, Istanbul, Jerusalem, Jordan, luxor, Morocco, Muscat, Oman, Parthenon, Petra, Royal Opera House Muscat, sheikh zayed grand mosque, Temple of Hatshepsut by yalla2013. Bookmark the permalink.